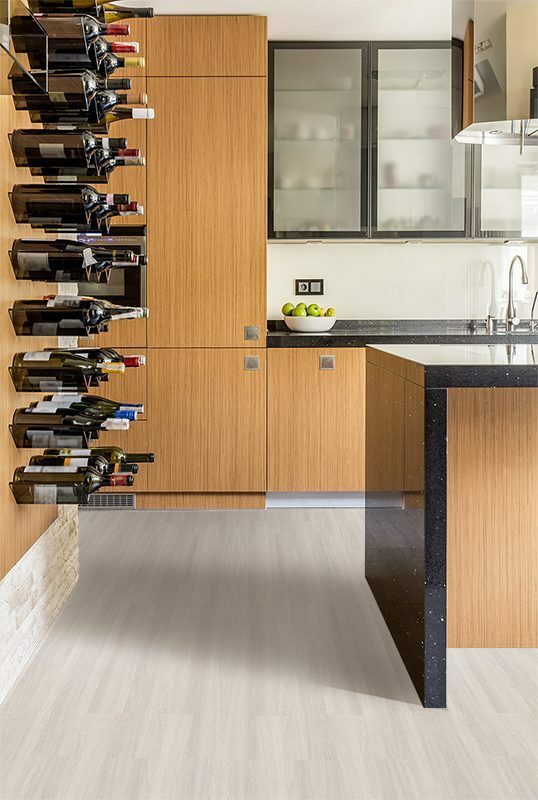 A floating floor in a cork flooring kitchen is INSTALLED LAST! It must be noted that enough people have asked enough questions to warrant a sub-section on installing a floating floor in a kitchen. 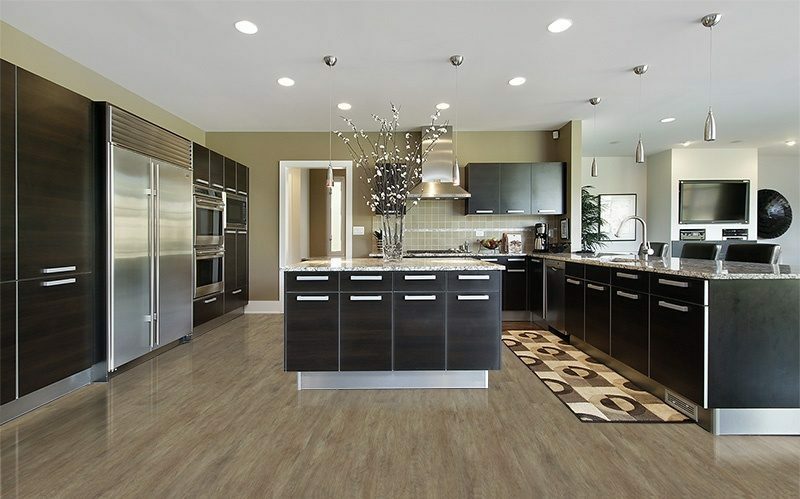 Please note: A cork flooring kitchen installation requires two coats of water based polyurethane! When sealing the floor with polyurethane, you are not “sealing” the cork, you are sealing the seams. This is to protect the HDF or High Density Fibreboard from water damage. You are also protecting your subfloor from water damage. 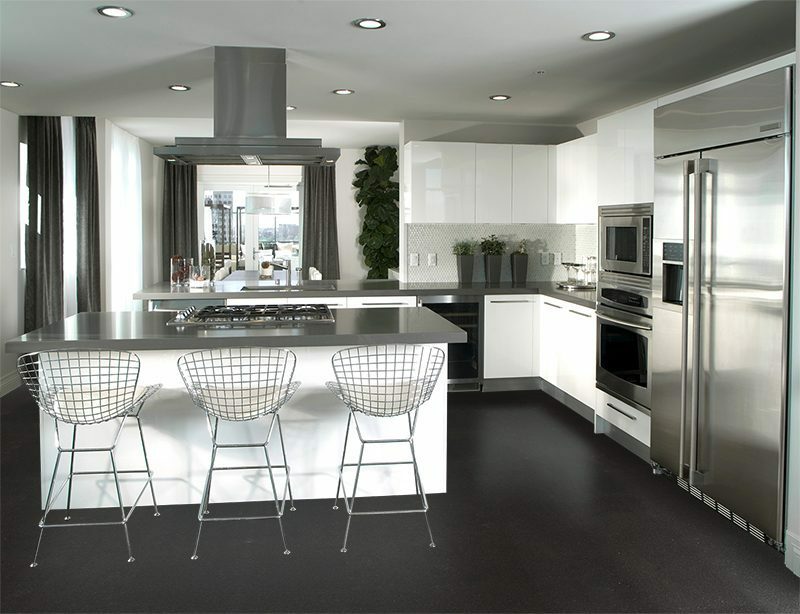 *For a basic, step by step, floating floor installation please visit our “Installation Guide for Floating Flooring”. Paint tray to hold the polyurethane mixture. Allow the caulking time to dry. urethane in the original containers and seal the containers immediately. Do NOT premix the Loba polyurethane! Once mixed it has a small window of liquidity before it sets! Do NOT try to recap the container after four hours! A build-up of pressure could cause the container to burst! Time Count Violation: Once the 2 part epoxy has been mixed you only have 3 hours of working time before the mixture hardens to become plastic. Once mixed, DO NOT RECAP or put a lid on the mixture after the four hour mark! Intense build-up of pressure may result in a very unpleasant event (like the container exploding)! Measure out the appropriate amount of varnish and hardener into a container (many people use old yogurt containers) and shake vigorously. The varnish will change to a milky white substance. This is the colour you are looking for. Allow polyurethane 4-6 hours to dry. The finish may be dry but it has not had time to cure. Any form of footwear that has a tread my leave imprints in the still-soft coat of polyurethane. After 24 hours the floor is available for light use (stocking feet only). After 4-6 hours has passed the second coat can then be applied. The same rule applies when waiting for the second coat to dry. Once it has dried a curing time of up to 5 days should be observed. That means stocking feet and light traffic only. 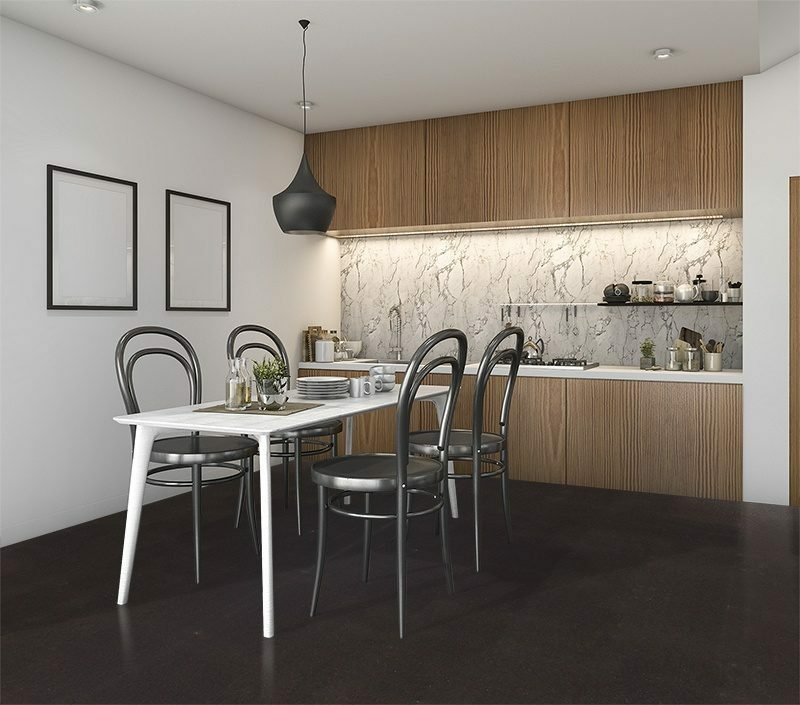 Do not place mats or rugs over the area until after the floor has been fully cured. Apply the first coat of polyurethane in the evening. 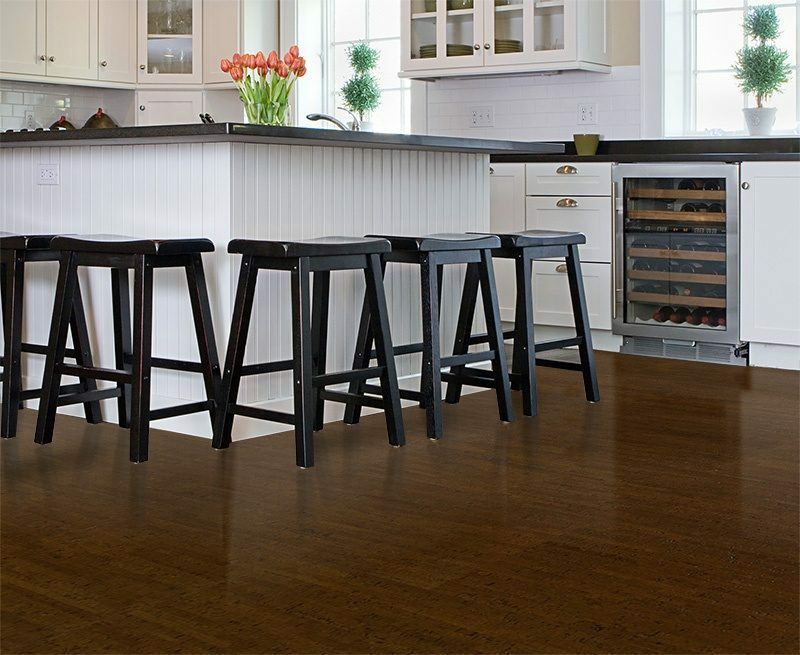 Once you have finished with your cork flooring kitchen for the evening, apply your first coat. Put a chair with a little note on it to remind those “midnight snackers” to stay off the floor. 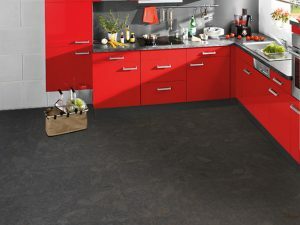 The over-night period should be more than 8 hours in duration before anyone is allowed to use the cork flooring kitchen the next day. Test your floor you’re your floor before walking on it! Overall temperature and humidity levels can cause a slower or faster dry time than what it says on the label. The next day, go ahead and use the kitchen floors lightly and only with socks on your feet! Recoat your floor the same way the next evening following the same routine. By applying the varnish at night you will effectively give yourself almost 24 hours of curing time before the next coat is applied. 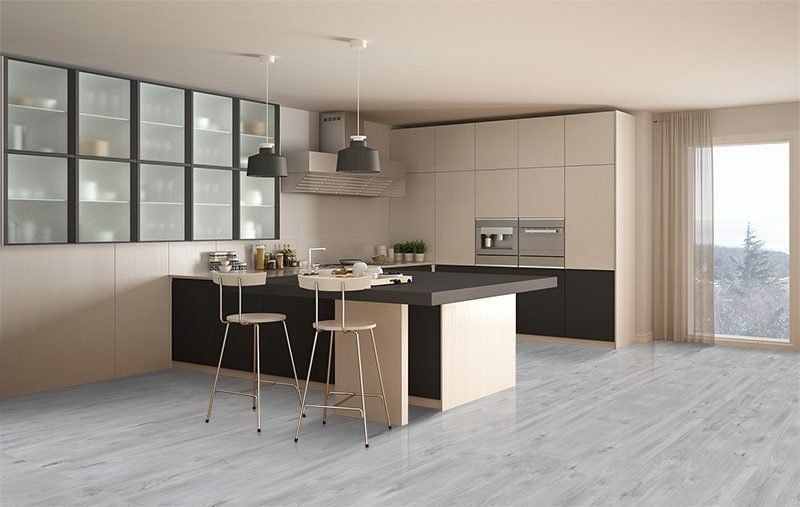 This way you have the use of your cork flooring kitchen while at the same time letting the floor cure. You are all done! 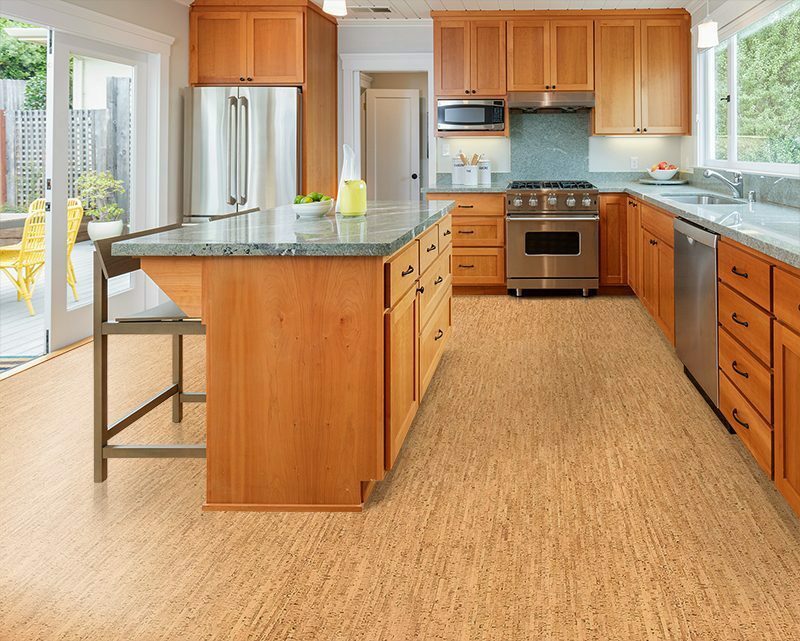 Congratulations, you have just installed a floating cork floor in an area that 10 years ago experts would have told you, “Never, ever in a cork flooring kitchen ”!